Having a makeup artist in Tulsa, OK from Faccia Bella means working with an expert that believes that your face truly is a canvas and the makeup is the paint used only to enhance your natural beauty. The professionals at this company will listen to what you want and make sure your beauty shines through for your wedding. This team will also make sure that the look feels like permanent makeup as it lasts for the entire occasion. This is something that reviews of the company rave about. Mikala, the owner and operator of Makeup by Mikala, has been working in the industry for years traveling and providing her services throughout Texas and Oklahoma. 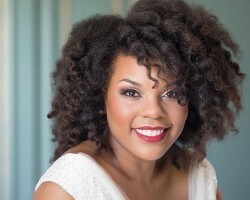 As a makeup artist in Tulsa, OK, this expert has extensive experience working with local brides. To give you peace of mind and to make sure you are completely happy with the style and the look, you will be offered a consultation or trial before the main event. From there you can book to have this artist on your wedding day at affordable prices. Krista Perry has done the makeup of countless celebrities as well as the makeup of many local brides. She has the skills and the experience that you should want your makeup artist in Tulsa, OK to have. One of the best things about working with this professional is that she offers traditional and airbrush looks as well as complete wedding hair and makeup upon request. You cannot go wrong when you choose to work with someone as skilled and professional as Krista. At Mather Salon you will find the best Tulsa makeup artists and cosmetics team as well as hair stylists that are capable of meeting any beauty request you may have. This team uses the highest quality makeup to ensure your look will last for any occasion. This is especially important whenever the team is asked to complete a bridal look. This company works to make their clients feel comfortable with all of their services, which is why they offer trials of the complete bridal style before the big day. MLB Artistry is the makeup service in that you should hire when you would like to be sure that your bridal makeup is flawless and will last throughout the ceremony and the night of celebrating. Working with this company means having a professional team of makeup artists that will listen to exactly how you would like to look for your walk down the aisle. 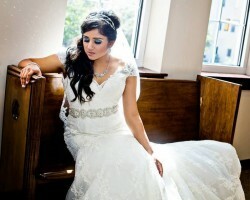 They will offer their advice and their talents to make sure your bridal makeup is always camera ready.